The teeth make suffer our poor babies! As soon as they point the end of their nose, thecheeks of babies become red, the fever goes up, in short small worries appear. 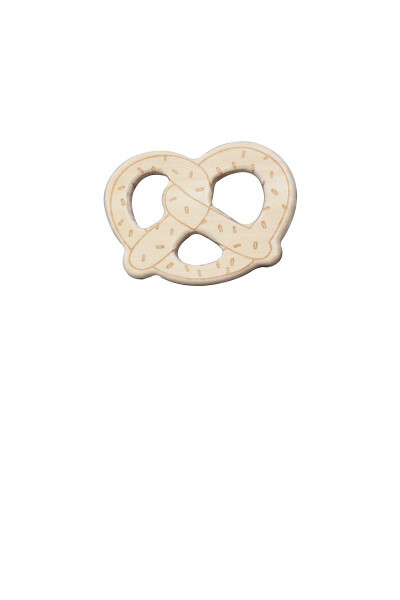 To relievethem, our teething rings are a beautifulsolution. Natural, amusing, design, ludic orclassical, the teething rings are declined inthree models so that you can find that whichwill calm the pains of baby. Smalls and in verysoft natural beech, they are very easy to catch for the small hands. The teeth of your baby start to push. Thisphase can be very awkward, even painful. Thesmall one is irritated, had much saliva and triesall to nip. To assist it in this severely tested,offer to him a teething ring out of wood. Withan adapted model, your baby will find pleasureby chewing his teething ring. The pains of itsgums will grow blurred quickly, and its firstmolars will appear without complication. The teething rings out of wood April Eleven areout of matter natural and their benefit will prove reliable quickly. You will be able to choosebetween three models, the small hedgehog,the pretzel and the rattle of wood with its threeballs of neutral color. 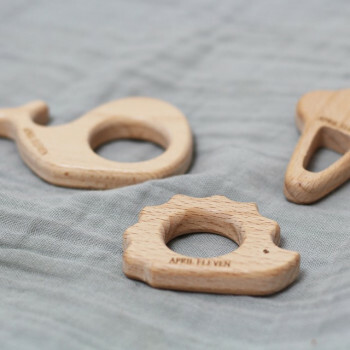 Follower of the beautiful matters, choose thenatural teething rings, in particular wood to help your children during the push of their firstmolars. Certain wood like maple or the beechhave good tastes and their odor is stronglyappreciable by the babies. Moreover, theyhave stimulative effects. Very soft and pure, the teething rings out ofwood are perfect to calm the dental evils of thebaby. Moreover, these matters are certainlyhygienic and healthier for the low ages.